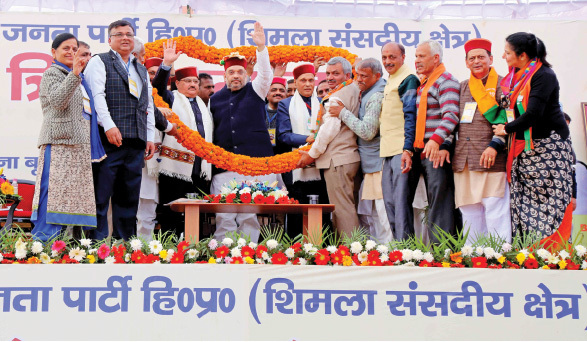 BJP National President Shri Amit Shah called upon the party’s Karyakartas to force Assembly polls before schedule, wipe out the corrupt Congress government and bring the BJP back to power, while addressing BJP’s booth-level workers from Solan, Sirmaur and Shimla districts of Himachal Pradesh, named ‘Tridev Sammelan’ on 11 December, 2016 in Solan. At the first such rally in the poll-bound state after demonetization, Shri Shah lashed out at Chief Minister Virbhadra Singh over corruption charges and asked the people of the state, apart from party workers, to “wage such a struggle, which forces the Congress government to collapse under its own weight and corruption charges so that the people don’t have to wait for the polls”. 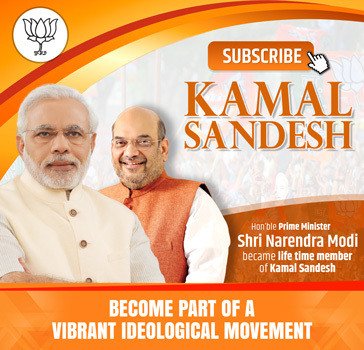 Thus, there was a need to replace the present dispensation with the BJP government, which will work in tandem with the PM Modi-led government at the Centre, he said. On demonetization, he said the Prime Minister had asked only 50 days from the people to clean up the black money mess. We are aware of the problems of the people but it’s surgery to treat a chronic disease spread through the body during 70 years, he added.